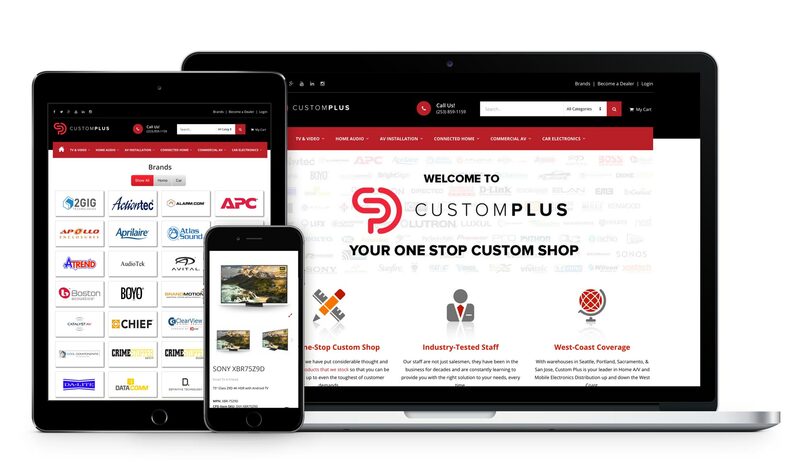 Custom Plus Distributing (CPD) is a rapidly growing consumer-electronics distribution company based out of Auburn, WA with warehouses in Portland, Sacramento, and San Jose that caters to the custom integration channel. 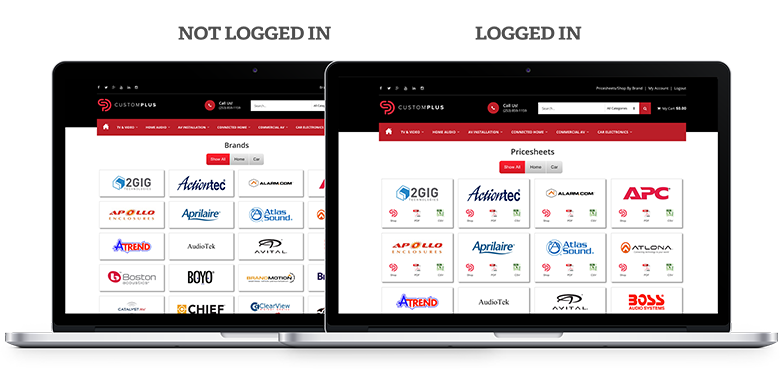 In an effort to become a true omni-channel distributor, they chose to invest in the development of their website to enable their 5,000+ dealer dealerbase to be able make educated and timely purchasing decisions. CPD had an existing website which provided a foundation with which to develop the new website on, but it lacked key functionality that would better enable the customer to make purchasing decisions. With this in mind, my supervisor, myself, and our web developer would have daily scrums where we would discuss and prioritize tasks and provide timelines to execute on them. These meetings have spawned a number of new features that are currently implemented on the site today. Designer/Front-End Developer: The idea for targetted home pages came out of our discussions in which we decided that not all customer groups within CPD should see the same home page. Seeing as we already had the customer data in Magento, it was our developers job to write the code to target specific .HTML pages to specific customer groups. It was then my job to write the front-end code and create the graphics that would be displayed on each home page. The non-logged in home page also served a purpose, in that it was to tell the story of CPD in an effort to convert visiting dealers into registered dealers at CPD. 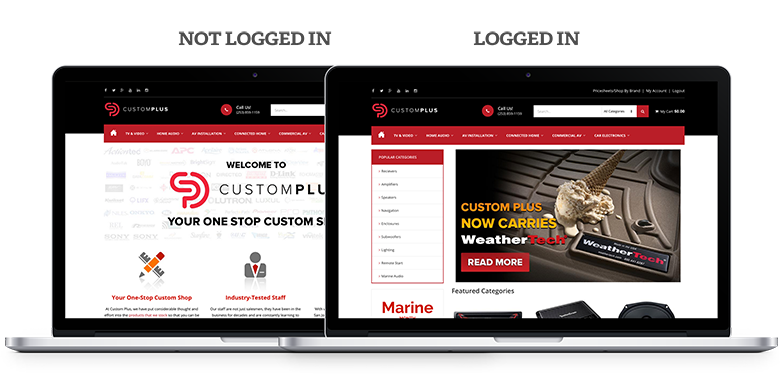 Since re-launching the website, customplusdistributing.com has seen a 77% increase in users, a 49% increase in new sessions, a 46% increase in orders, and a 76% increase in revenue. These statistics are only poised to grow as the work on the website is constantly underway and is never completed.